These creepy cookies are looking right at ya! 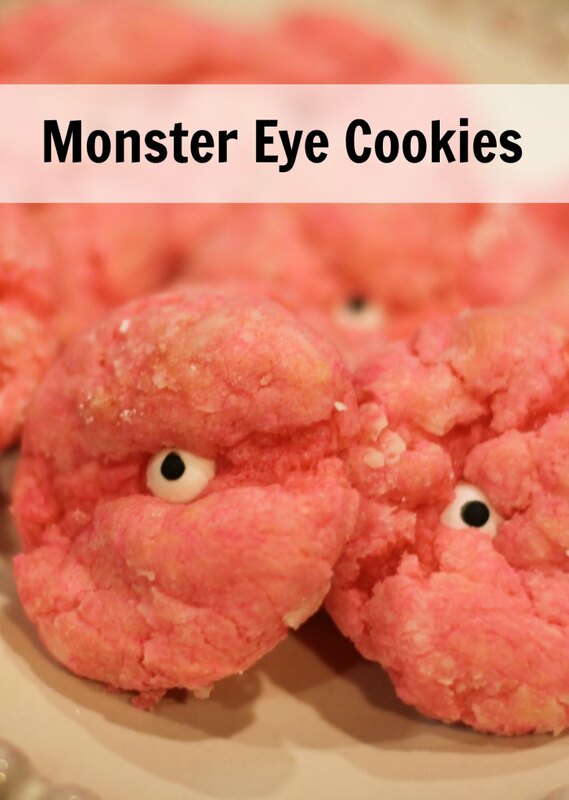 I love this Monster Eye Cookie recipe because of its simplicity yet the cookies till melt in your mouth. The combination of butter and cream cheese makes these a super soft cookie that you will want to eat more of, even though the cookie is totally staring at you! I was lucky enough to find the candy eyeballs at our ALDI store. 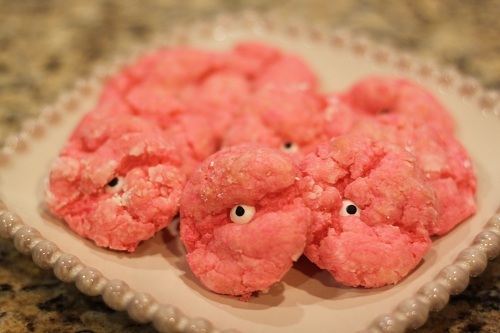 If you can’t find them in stores, you can order Wilton Candy Eyeballs here. Beat butter, vanilla, egg, and cream cheese. 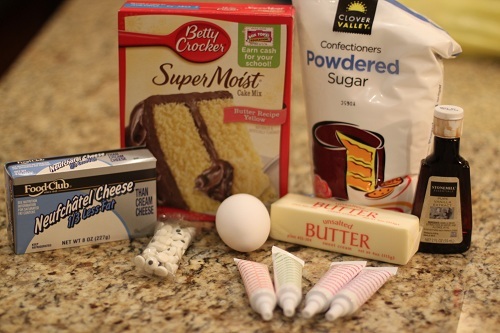 Add in cake mix. Mix. Add food coloring until you get the right color. Roll the balls in the powdered sugar. Cook for around 12 minutes. While still warn, push the eye balls into the center of the cookie or all over the cookie, however you desire.